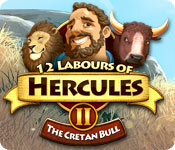 12 Labours of Hercules II: The Cretan Bull is rated 3.8 out of 5 by 42. Rated 5 out of 5 by gamerglo from I Play for relaxation (Expert) For me I like games that let me practice my eye and hand movements. When I am tense this is a really good game to play and try to beat my times. Rated 5 out of 5 by Taylsa13 from Very good sequel I completed this game in a few hours and it was fun. A worthy sequel with one or two difference from the first game. There is the addition of puzzle pieces - I didn't manage to collect them all as some were very hard to find but it didn't detract from the game. Hopefully I'll get them all next time. The only slight complaint I have (and it's really only a minor thing) is that I got rather annoyed with the advert for checking out the first game keep coming up between levels. I hope that doesn't keep happening in subsequent games. 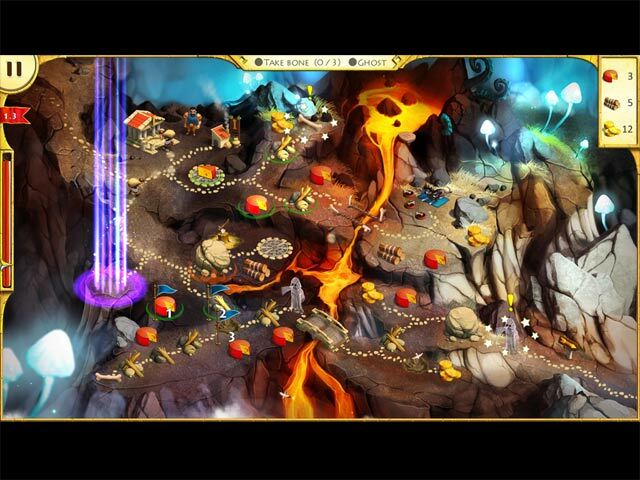 All in all a very good game that is great fun and keeps you going with plenty to do. Rated 5 out of 5 by ASForbes from Can't Wait for yhe Next One! Had so much fun with the 1st Hercules, I immediately bought this without trying the demo. I wasn't disappointed! Rated 5 out of 5 by mrsusafdemoman from So fun! This game is really fun, it allows you to queue up jobs so you don't have to wait until the guy is done before you do the next thing, which is nice because it makes it feel more like you can drive the game instead of just being told what to do and when to do it. I love the graphics, and it was challenging but not so hard I couldn't get the hang of it. I thought it was every bit as fun as the first one! Rated 5 out of 5 by cowclaudia from Herk is back And still a doofus - his guys still do 95% of the work but at least he's out of the hammock. 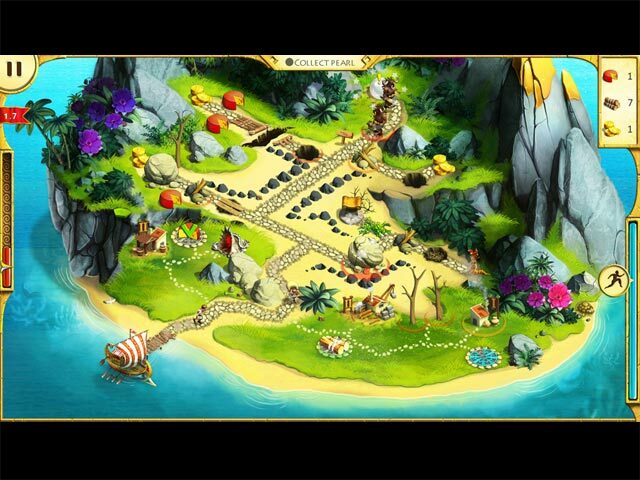 You need to plan some strategy on this but easy for the most part and mini games are fun. Rated 5 out of 5 by SillyName6 from A good one! I don't know what it is about this kind of game, that makes it so addictive! 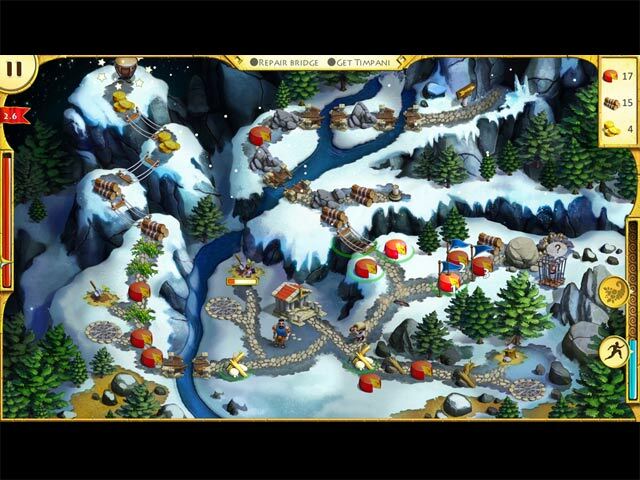 I got into this kind of games, playing the My Kingdom For The Princess series, but must admit that the first 12 Labours of Hercules game had slipped my attention. It took no more than two minutes for me to get hooked on this game ... and I just couldn't stop playing. Before I knew it, I had played my way through the entire game and I had fun all the way! And the next day I started all over again ;) The storyline is good, the graphics are good and the sound ... well I don't know about that cause I was listening to music while playing. So, if you're into highly addictive games, this is the one!! !